JAKUB POLACZYK was born in Cracow on the 8th of March in 1983. He is a composer, pianist, and music educator living in New York City. In 2015, he began teaching at the New York Conservatory of Music. Since 2018 Music Director of the Chopin and Friends Festival in New York City. In 2013 he received his Artist Diploma in Composition (Prof. Reza Vali) as a full scholarship recipient at the Carnegie Mellon University in Pittsburgh. In 2010 he received combined Bachelor/ Master Degree in Composition (2010) from the Music Academy of Cracow. There he studied composition with Assistant Professor Marcel Chyrzyński, orchestration with Prof. Krzysztof Penderecki and computer music with Prof. Marek Chołoniewski. In 2008/2009 semester as part of the Socrates-Erasmus Exchange Scholars program he studied at the Royal Conservatory of Music in Brussels, where he refined his compositional techniques in the class of Jan van Landeghem. In 2010-2011 he took postgraduate course in film scoring and theater music at the Music Academy and Schiller Film School in Lodz. In 2008 he received Master Degree in Musicology from the Jagiellonian University in Cracow under the supervision of Prof. Małgorzata Woźna-Stankiewicz, and in 2005 Bachelor Degree in Musicology under supervision of Professor Jadwiga Paja-Stach. In 2005 he graduated from the Żelenski Secondary Music School in the piano class of Irena Rolanowska, obtaining diploma with honors. JAKUB has also received numerous awards and scholarship outside the academia. The most recent being: Distinction on the International Composition Competition in memory of A. Schnitkee in Sochi (Russia, 2018), MACRO Composition Competition distinction in Madison(2017), American Prize in Composition (finalist in student chamber instrumental category: 2014, two honorable distinctions in professional choral and chamber instrumental category 2018), the Iron Composer Award at the 2013 Iron Composer Competition held at Cleveland, Ohio. In 2013 he also received artistic scholarship from the Minister of Culture of Poland - "Young Poland". In 2010 he received a music scholarship from the Major of the City of Krakow - Jacek Majchrowski. In both 2010 and 2007 he received the artistic scholarship from the Sapere Auso Foundation. Jakub is a Steinway & Sons artist and as a pianist he collaborated with such artist a legendary cellist- Christine Valevska, Naya Rodriquez - one of the last student of Luciano Pavarotti and Placido Domingo, ballet companies: Cracow National Opera and Ballet, Marta Graham in NYC, Stage Arts in Pelham, and contemporary ensembles: Mise-EN and S.M.E in New York. Jakub composed pieces for Renata Guzik, David Whitwell, Catherina Gregory, Kinga Augustyn, Cody Green, Ivan Ivanov, Benita Benietez, Marco Ciccone, Weronika Krowka, Mariusz Pedzialek / Alina Mleczko, Avanti Ensemble, Tromba Nova Quartet, NeoQuartet, Underground Trio, Aririang Ensemble, Pellant Trio, Mise-EN Ensemble, Four Corners Ensemble, NED Ensemble, Litvos Woodwind Quintet, Polanski Duo, Cracow Duo, Lexington Chamber Orchestra, Carnegie Mellon Symphony Orchestra and Cleveland Blue Waters Orchestra. JAKUB is an active figure among conferences at the: University of Montana (2014), Boston University (2015), Northeastern State University in Oklahoma (2015), University of Missouri - Kansas City(2016), Macro Workshop in Madison(2017), Coastal Carolina University (2018), Washington State University (2018), BICT at Carnegie Mellon in Pittsburgh (2019) and new music festivals: New York Electroacoustic Festival (2018), Space City New Music Festival in Houston (2018), OUA Electroacoustic Festival in Osaka (2018), Annual New Music Festival at Ball State University, IN (2018), Yuri Bashmet's Festival in Sochi, Russia (2018), June in Buffalo (2017), International Trombone Festival in Redlands, CA (2017), COLA in Brooklyn(2017), Chopin and Beyond in NYC (2016), Chopin and Friends in NYC (2015, 2016, 2017, 2018), International Cracow Composers Festival (2007, 2009, 2011, 2013, 2014, 2015, 2016, 2017, 2018), Annual Festival of Contemporary Music in San Francisco (2013), Summer Sounds in Pavoroo (2013), Janackovy Mai in Ostrava (2013), Drusomanija in Druskienniki (2018, 2013, 2012, 2011), Warsaw Autumn (2011), “Tre Colori” Festival in Budapest (2011), ISCM in Sydney (2010), International Conference in La Coruna (2010), Ostrava Music Days (2009), International Contemporary Music Festival in Daegu (2008). He was selected to participate at the prestigious summer courses, in 2017 at the June in Buffalo and International Trombone Composers Symposium in Redlands, CA (USA); in 2014 at the Oregon Bach Festival Composers Symposium in Eugene (USA); 2013 at the “Synthesis” in Radziejowice (Poland); and Sävellyspaja (Finland); 2012 at the SOUNDscape Festival in Maccagno (Italy); in 2010 at the “Etchings Festival” in Auvillar (France); and in 2009 at the Ostrava Music Days in Ostrava (Czech Republic). In 2017 he was teaching at the International Course of Interpretation at the Chopin State School in Nowy Sacz. In 2016 two of his chamber works took premiere at the Weil Recital Carnegie Hall in NYC during the concert organized by The New York Conservatory of Music and Marymount Manhattan College and in 2018 his quartet "al F..e" was performed by 4 Corners at the Weill Hall in Carnegie Hall. In 2019 nominated for the Southern Poland Award of Danuta Szaflarska "Global - local - genial". JAKUB is also a prolific songwriter. At the SongDoor International Songwriting Competition in Nashville his songs won Honorable Mentions three times and in 2015 "Floating Skies" got into the Finals in the Instrumental Category(3rd Place). In 2005 at the UK Songwriting Contest in London, two of his songs made it to the semifinals. 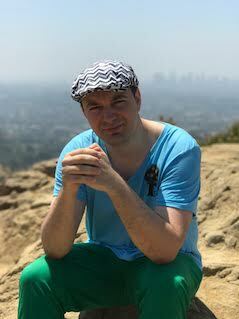 JAKUB has been a member of the Polish Composers Society since 2014, and a member of the College of Music Society in the US since 2013 and Society of Composers Inc. since 2018. Additional info about the artist and music samples may be found at: Link. 2006 - An Ancient Book for Voice and Piano. Adam Didur Compositon Competiton in Sanok - 2nd prize, ApokElipsis for chamber orchestra - “Patri patriae – 4th All-Polish Composition Competition, Katowice – honourable mention in the student category. III prize (ex aequo) for Ringtone no.8 at the Sfogato Ringtone Concert and Competition. String Quartet No.1 "Postcards from Pittsburgh" Harry G. Archer Memorial Student String Quartet Competition, Pittsburgh - honourable mention in the graduate students category. Finalist of the 4th Anton Dvorak Composition Competition in Prague. Ist prize on the Iron Instant Composition Competition 2013 in Baldwin-Wallace Conservatory of Music in Cleveland in Ohio. Remix Virtual Artist Film Music Competition - winner for the music for "Warm Winter" animation by Xin Li, Chapel Hills in North Carolina. Finalist of the SongDoor International Songwriting Competition in Nashville, TN, 3rd locate for Instrumental "Floating Skies" and Honorable Mention for "Morning Shells".